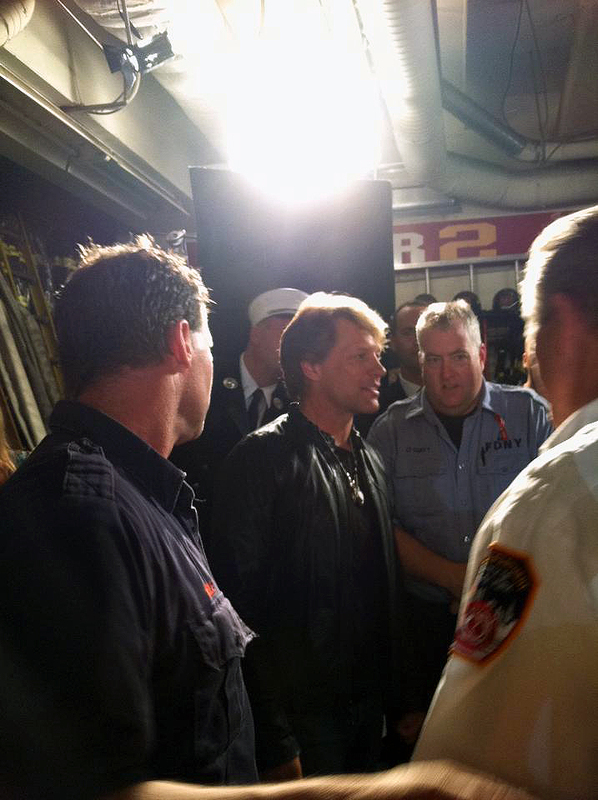 This week, NFL Films’ cinematographers taped a performance of “America The Beautiful” by Jon Bon Jovi at a New York City firehouse. You can see the final, edited piece during tonight’s “NFL Kickoff 2011: Back to Football Special” on NBC at 8:00pm EST. For more about the show, click here. This segment was special to everyone involved, as Jon Bon Jovi performed this same song, at the same firehouse, ten years ago. The performance aired prior to kickoff of the first NFL games played after September 11th. The segment’s Director, Charlie Askew, grabbed a few photos with his cell phone in between shoots.